A brewing thermometer featuring a weldless installation kit, that accurately monitors your brewing temperature, from Anvil Brewing Equipment. 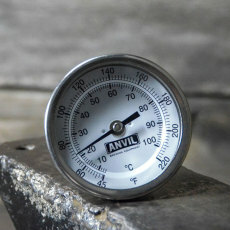 A high-quality dial thermometer from Anvil Brewing Equipment, this model is weldless, requiring only a 1/2 in. 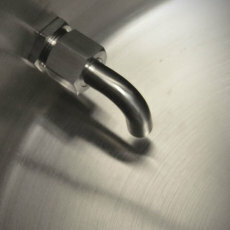 hole for installation in a brew kettle, mash tun or hot liquor tank. 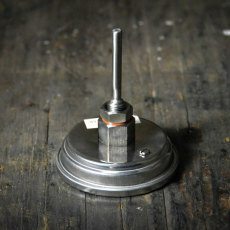 A 2.5 in. 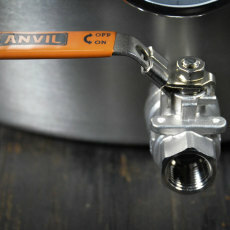 stem allows access into the depths of the kettle for accurate readings you can rely on! 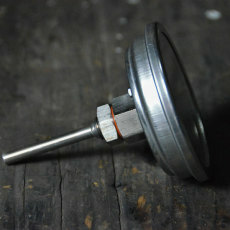 The dial reads a range between 45 and 220F (7-100C). 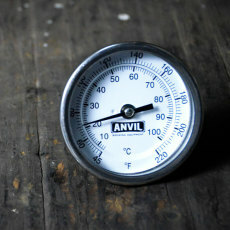 Get the accurate readings you need for brewing with an Anvil brewing thermometer!